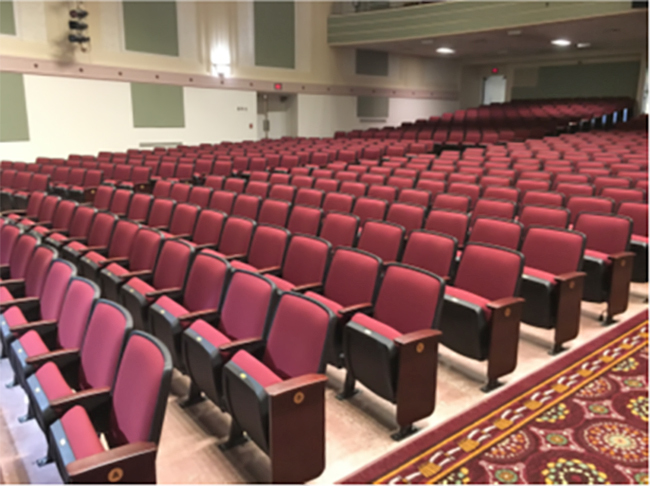 When a Milwaukee area High School was looking for the right flooring system to match their Art Deco Theater, they worked with Floorcare USA to implement a polished concrete flooring solution. 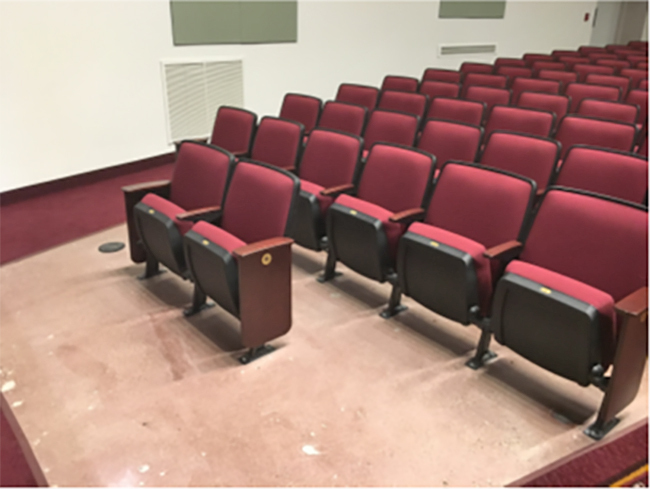 First Floorcare USA removed the old, existing floor coverings, then diamond grinded and prepped the concrete to remove old adhesives and residue. 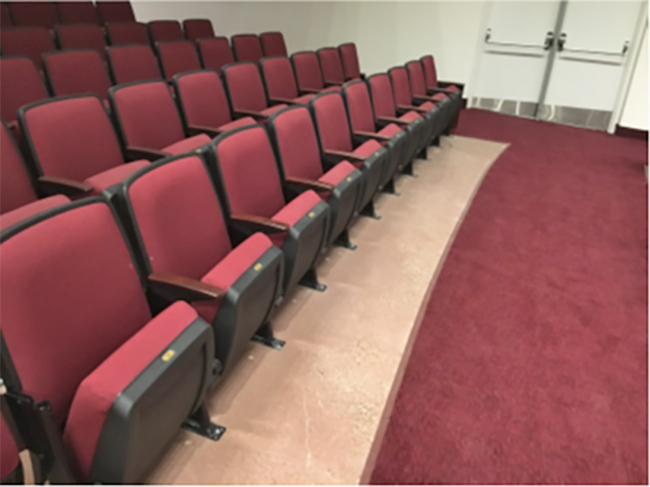 Once the concrete surface was properly prepped, Floorcare performed a TRUE REFINEMENT concrete diamond grind process that exposed salt and pepper aggregate. They then performed a sequential diamond polish process up to 800 grit levels. 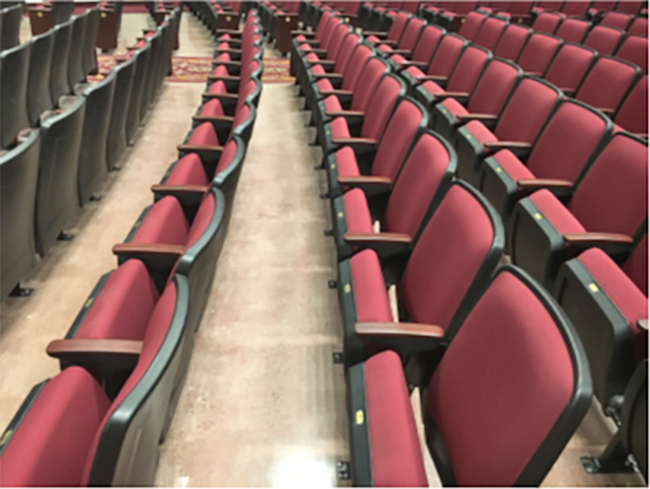 Once the concrete was properly diamond grinded, polished and refined Floorcare performed a final guard application of Petrotex sealer/chemical protectant and the concrete floors were burnished to a gloss sheen. The client’s concrete floors are beautiful, durable, easy to maintain and have provided years of reliable service!! You want a concrete floor in Wisconsin or Illinois that’s beautiful, durable and built to last. 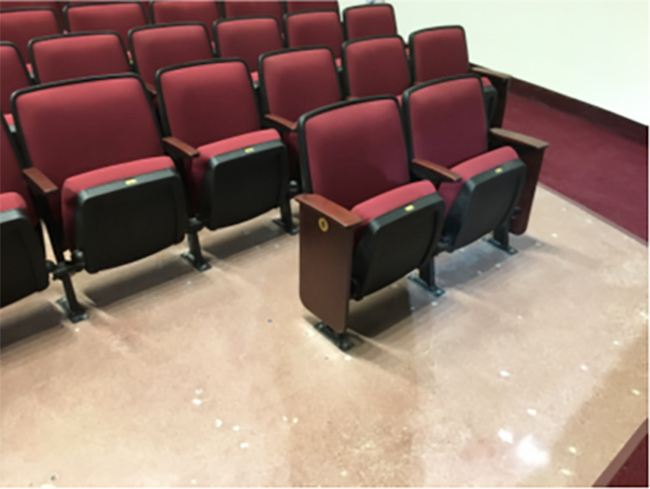 When you choose Floorcare USA, Inc., polished concrete system, you get just that! We have a variety of products for polishing industrial, commercial and residential surfaces to add strength to existing concrete floors, provide concrete resurfacing and complete floor overlay, protect concrete floors from heavy loads and deterioration and resist the penetration of water and oils. 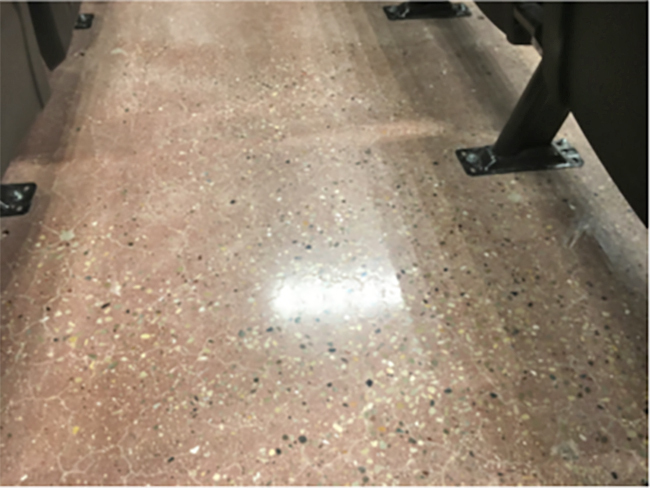 Our line of polished concrete floor system products includes a concrete hardener/densifier solution to increase water resistance and surface strength, concrete dye to create stunning concrete floors and concrete conditioner to ensure your floor looks as good as it did on day one. Choose Floorcare USA’s polished concrete products to turn all your projects into concrete works of art!